Sensational Seasoning’s Pork Rub is a flavorful seasoning made with the finest, healthy, gluten-free ingredients. Even better, no fillers are used. Our Pork Rub is salt-free giving you the option to ‘brine’ without having to worry about ‘double salting’. You can always add salt, but you can’t take it away! Imagine eating ribs, pulled pork or barbecue chicken at your favorite restaurant. Mmmm, that smoked, rich flavor that you'll pay almost any price! Now imagine easily preparing, smoking or grilling the same food at home for a fraction of the cost. 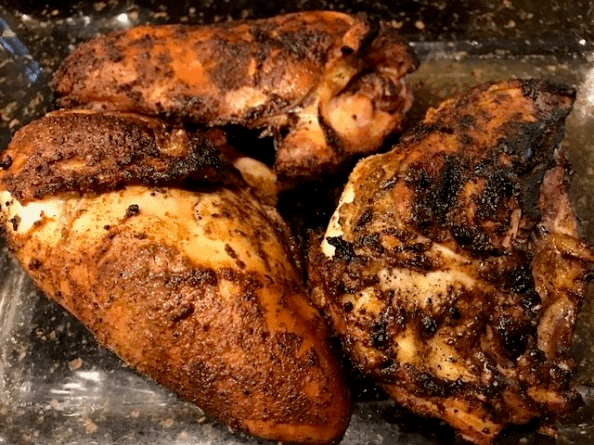 You can achieve that great smoked flavor with Sensational Seasonings, salt-free Pork Rub.